Have you ever wished you could just sit down and have a long talk with the Lord? Wouldn't it be wonderful to move beyond having a theology that states that God loves you to actually hearing Him whisper words of love into your heart? When you're worried or confused, wouldn't you love to see the situation from His perspective and hear how He wants you to respond? Proven methodology: You WILL learn to hear God's voice! When things don't seem to be going your way and your prayers aren't answered the way you had hoped, wouldn't it be great to hear Him tell you where He is in the midst of it, and what He is working out in your life? Are you ever just a little bit jealous of others who say with such confidence, "The Lord said...."? When you combine the book 4 Keys to Hearing God's Voice with MP3s for easy listening in the car and the video downloads for dynamic training of your small group, you have everything you will need to internalize this training on How to Hear God's Voice. 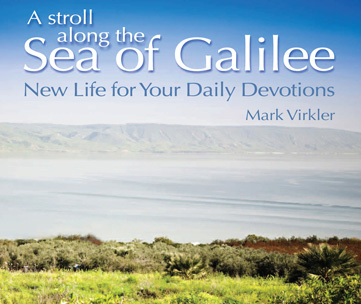 This is the MOST PRACTICAL training series in the world teaching you how to hear God's voice! 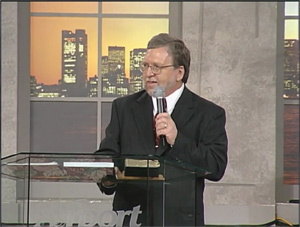 The 10-hour video download teaching series now matches the 10 chapters in the book! Utilizing this training bundle (video downloads, book and LEARN notebook) allows you to easily facilitate this transforming experience with a group of your friends. 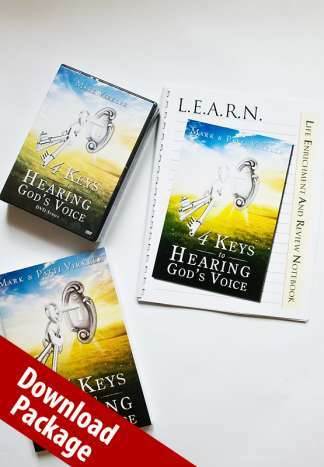 The video downloads and MP3s correspond with the 4 Keys to Hearing God's Voice book and LEARN 4 Keys to Hearing God's Voice notebook. For maximum growth and internalization, we recommend utilizing them both along with either the MP3 or video download set. One copy of the book per family is fine, and one LEARN notebook for each individual is recommended. The LEARN notebook provides an outline to follow as you watch the video downloads or listen to the MP3s. Also included are application exercises and classroom activities. For maximum results, draw together some friends into a home group or Sunday school class and watch the video downloads over a 10-week period. Practice the four keys weekly, sharing your results together. 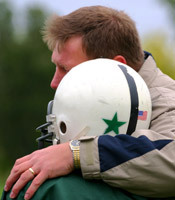 The video downloads bring an anointed trainer to your group, and your interpersonal sharing gives you instant feedback and confirmation that you truly are hearing God's voice! An unbeatable combination. 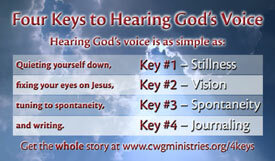 4 Keys to Hearing God's Voice Video Download Package Includes ALL These Amazing Resources! 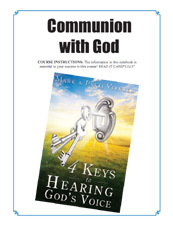 Details of Each Item Included in the "4 Keys to Hearing God's Voice Video Download Package"
These are ideal for focused learning with the LEARN 4 Keys To Hearing God's Voice notebook and for use in classroom settings. They are identical in content to the MP3s. For maximum results, draw together some friends into a home group or Sunday school class and watch the Video Downloads over a 10-week period. Practice the 4 keys weekly, sharing your results together. The Video Downloads bring an anointed trainer to your group, and your interpersonal sharing gives you instant feedback and confirmation that you truly are hearing God's voice! An unbeatable combination.